Human immunodeficiency virus, or HIV, is a human virus forcing the immune system to discontinue its proper functioning. It is the virus which causes the disease called AIDS, an acquired immune deficiency syndrome. The body contracts HIV through mucous membranes as well as blood contact. The body’s immune system is then slowly attacked and perfectly healthy cells of the immune system are killed off. 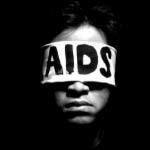 As the immune system is crushed to complete destruction, AIDS will be the end result. HIV Seroconversion Timeline – 7 Thing to Know! An HIV seroconversion timeline is a collection of predictable symptoms in relation to the HIV infection in adults. The time it takes for an HIV individual to produce antibodies of the virus as the immunities react to the infection is known as seroconversion. When an HIV test is performed before the completion of a seroconverion, the result may be a false negative due to the antibodies not being completely developed. In an HIV seroconversion, the progression of the disease is unique to every case. Symptoms in children develop differently as symptoms become more serious earlier on in the disease. 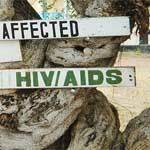 Many do not realize there is a difference between HIV and AIDS. HIV is the immune system breakdown which causes the AIDS disease. HIV symptoms in women may be different from the HIV symptoms in men, and may be mild in the beginning. These symptoms could be commonly mistaken for another condition instead. 1. Abnormal Pap Smear Results – Abnormal pap smear results are often one of the first signs of HIV infection notices. HIV symptoms in men may be different from HIV symptoms in women. A fever may be a sign of viral infections, including those caused by HIV. Chills can also be a symptom caused by your high body temperature. HIV symptoms in men can include severe fatigue.